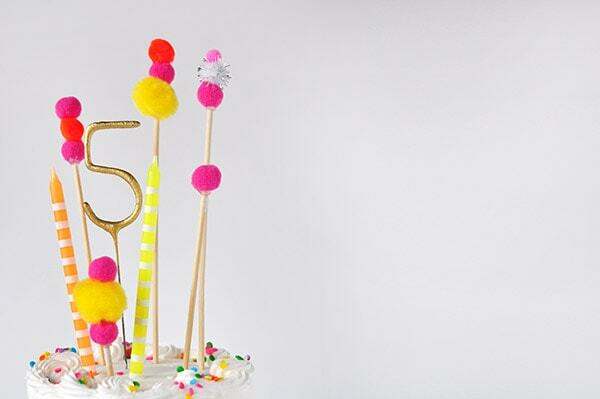 INSIDE : Adorable and simple, see how to make this Pom Pom Birthday Cake Topper for your next party! Fun Banner Cake Toppers make celebrations so much more fun and they are easy to add to any dessert. There isn’t much in life better than birthday cake. Well, maybe a few things are better, but not many! 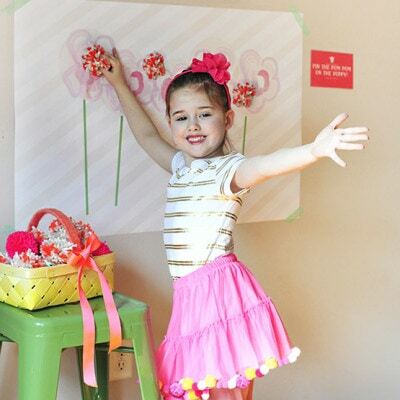 We celebrated my daughter’s fifth birthday party last weekend and from start to finish it was such a blast. 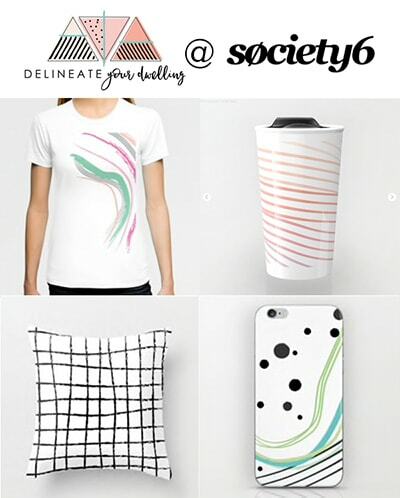 It was the perfect mix of creative DIY and store bought easy. 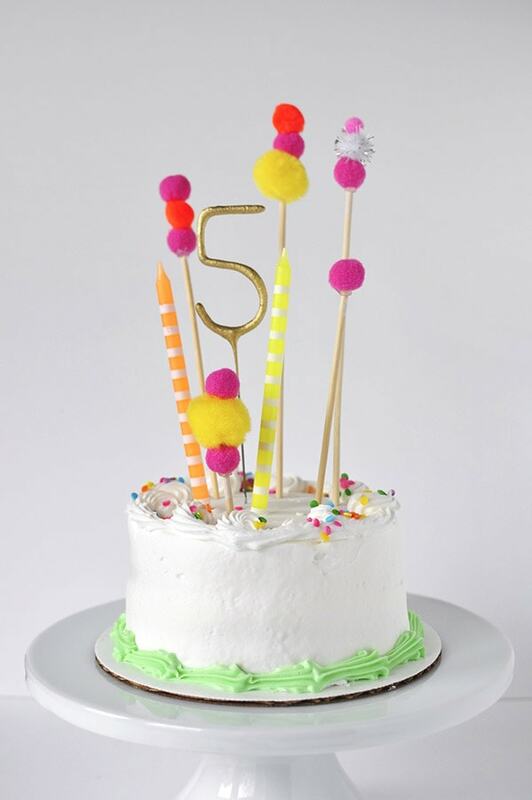 Today, I am sharing her adorable Pom Pom Birthday Cake and I can’t wait to show you how simple it was to create. 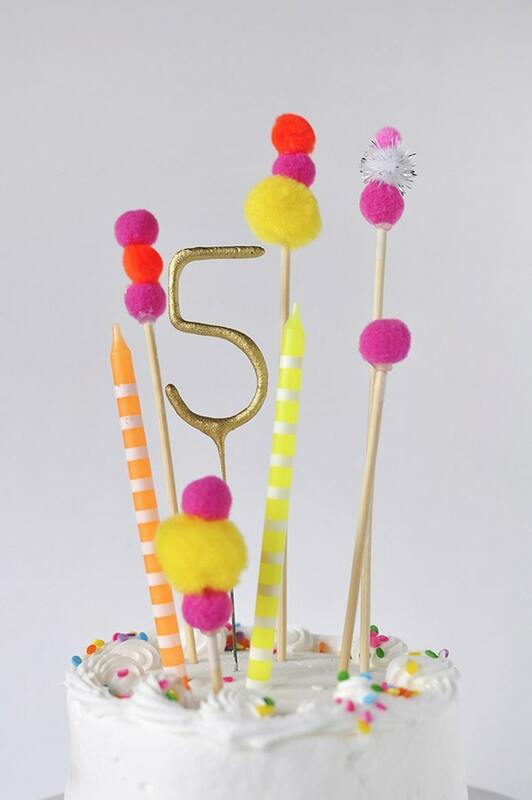 What supplies do I need for a Pom Pom Cake Topper? 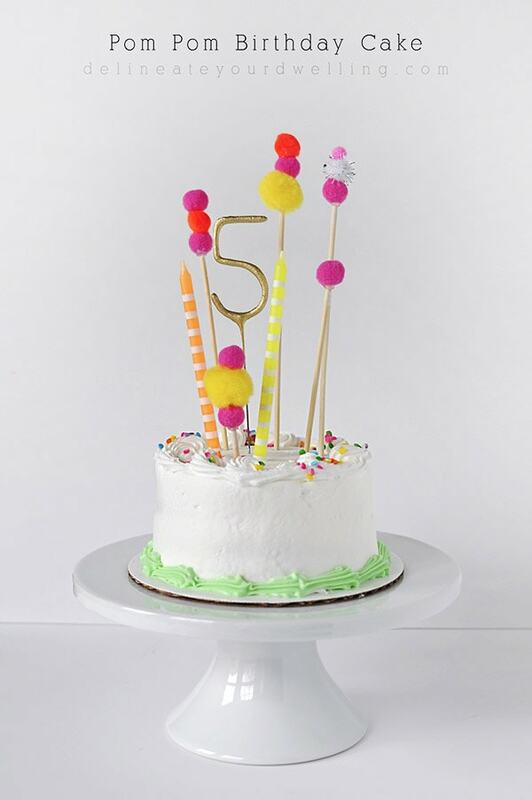 It’s almost silly to write a blog post about this Pom Pom cake topper since there really is only one step… except that it turned out so adorable and was so simple that I felt compelled to share it with you all, regardless. 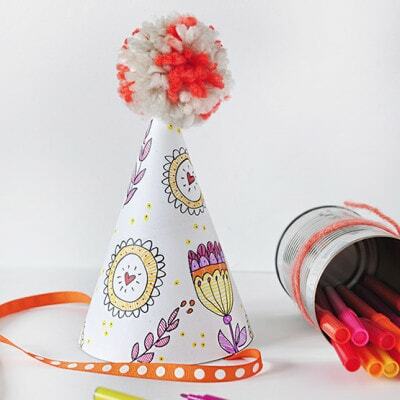 First, lay out all of your pom poms that you plan to use for your cake topper. I stuck with the party colors in pinks, yellows and oranges. Next, based on the size of your cake, decide how many skewers you are going to use. I also recommend on varying the heights of the wooden skewers to add more interest. 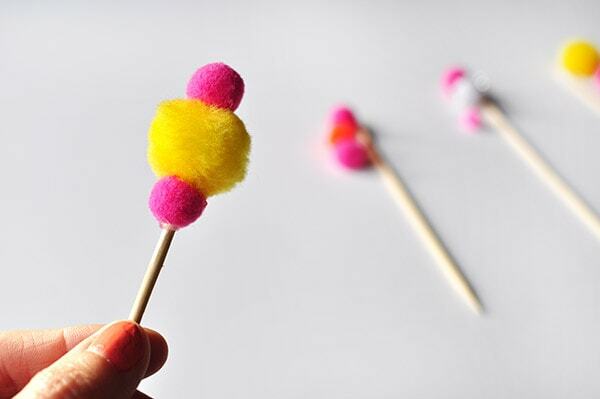 After you have all your supplies laid out, you can glue the pom poms onto the tops and sides of the skewers. 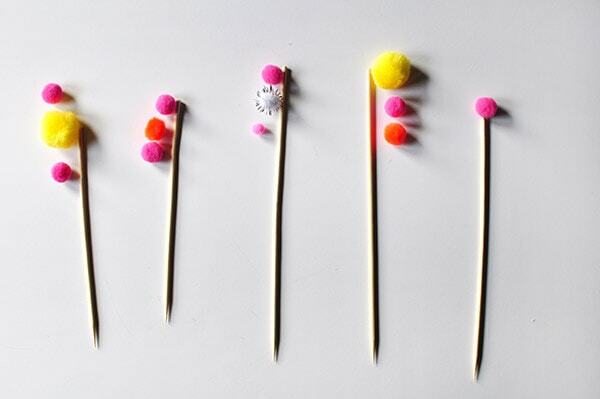 You will end up with delightful wands of colorful pom poms! Meri Meri sells some of my favorite party supply items and their Pastel Striped Candles were a perfect cake decoration. Plus, it was the perfect color scheme of the party. They came in a box with pink, white, yellow and oranges. My advice to all us busy mom’s out there, stop baking cakes and spending forever decorating them. I have a few friends who have a true talent with baking and decorating cakes (that’s you Amanda + Michelle), but to the rest of us, make life easier on yourself and simply buy a store bought cake. I bought two mini cakes from my local grocery store and they were delicious. They were easy. And they cost $6 a piece. 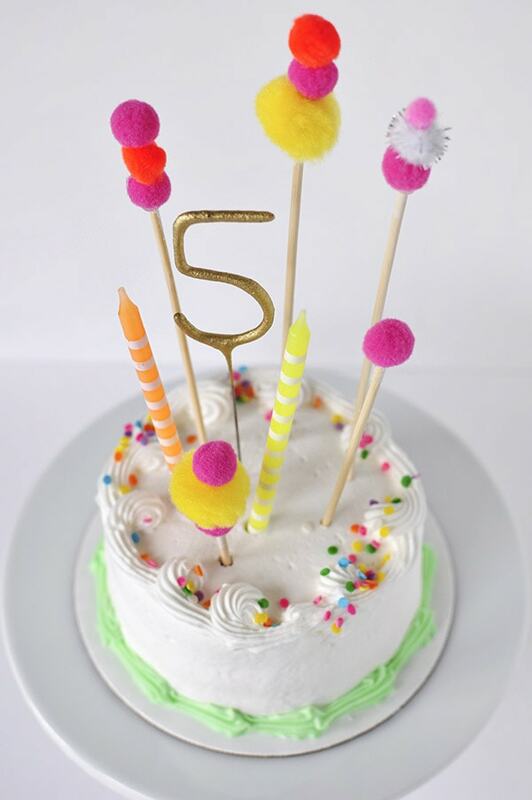 I found this awesome gold 5 candle a few months back and knew I had to put in on my daughter’s cake. I’ll be honest the girl’s all shrieked in equal parts excitement and fear when the sparker was lit. My son however, thought it was amazing. 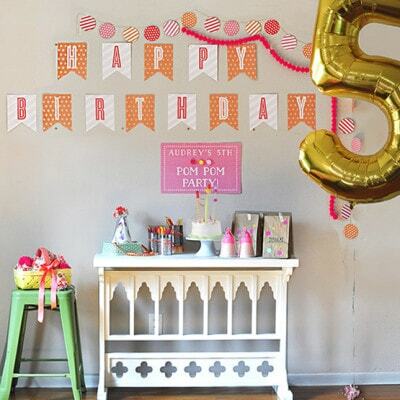 This was my quickest Happy Birthday Banner and it just might be my favorite one, too! Also, how fun with this same idea be for a cupcake topper. Now who is hungry for some birthday cake?! Gorgeously modern cake stand by Minted. 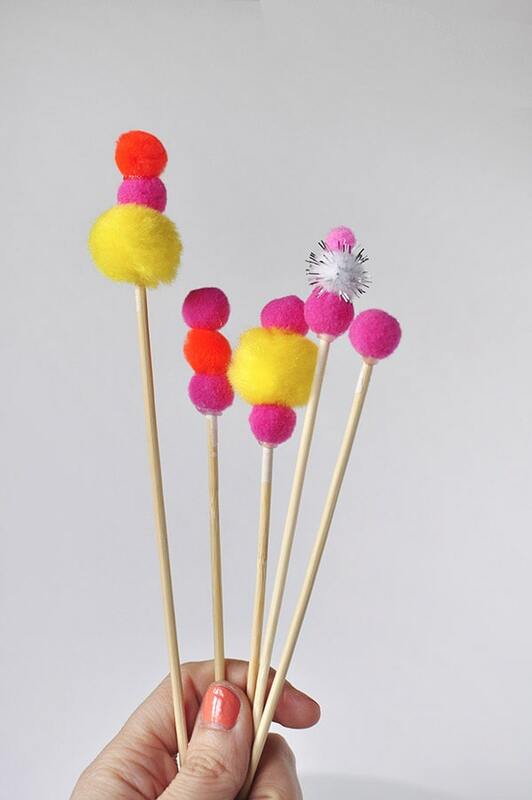 If you’d like to see more Pom Pom party DIYs, check them out below! Oh I love this! 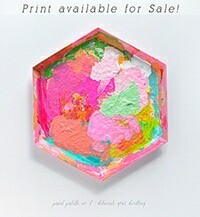 Hands down my favorite kind of party craft. 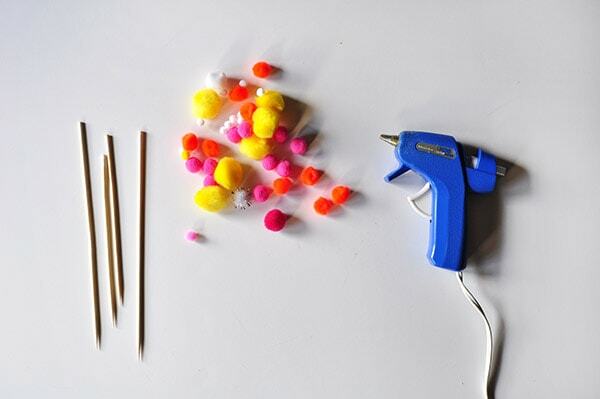 So easy to make and adds such an element of fun! How fun! Love the candles you chose too! Thanks girl. My spare candle stash finally paid off!! ha. Amazing! 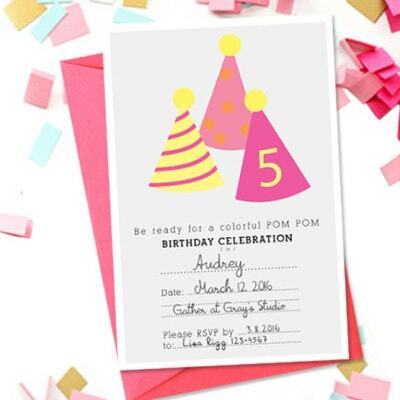 Loving all the pom-pom party details!